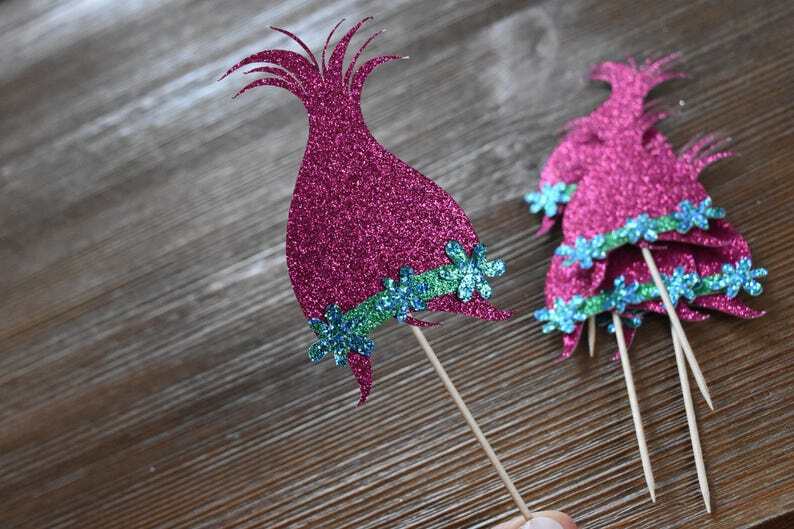 High quality Cupcake toppers (with Toothpick), these are made with one layers of Pink glitter card stock, green glitter headband and 3 Blue green glitter flowers. If you would like to mix and match with other designs or color combinations, shoot me a message and i will create a custom listing. really pretty, I put them in my centerpieces to tie in the Poppy theme!